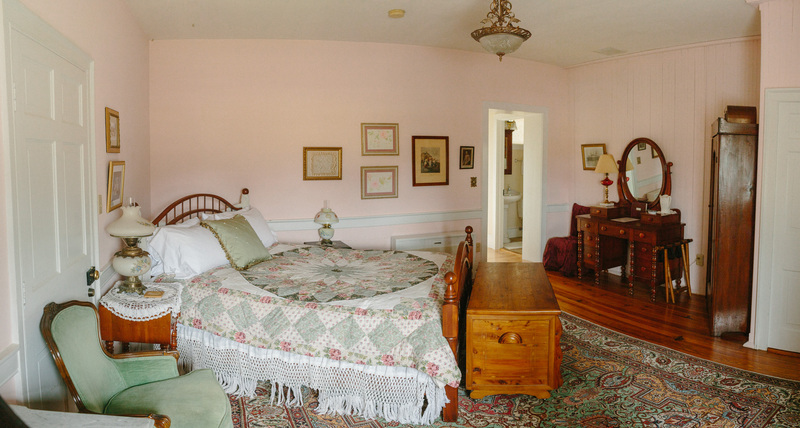 Grandmother’s room has a view of the farm landscape and the cave from which Cave Hill Farm was named. 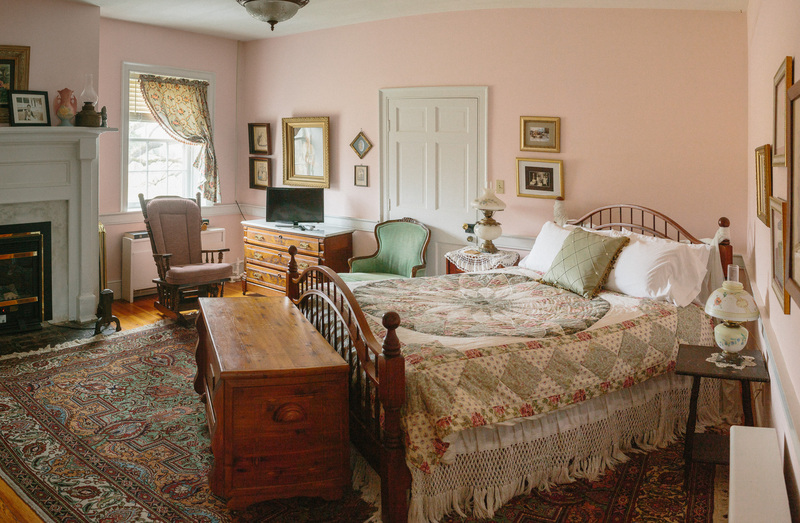 Grandmother’s room features an Amish-made queen bed with a down comforter. 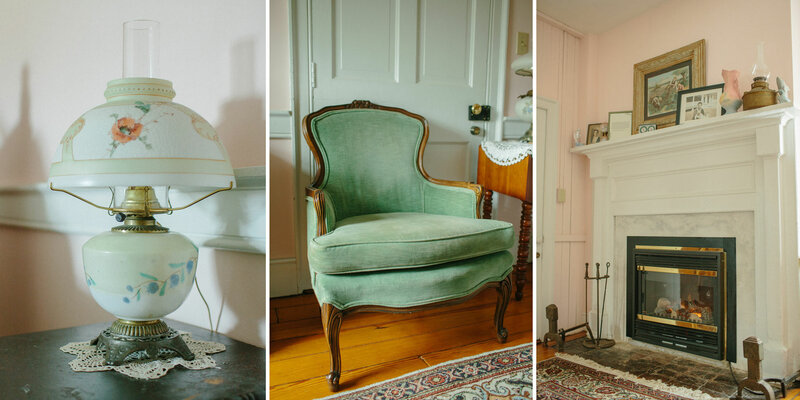 Exquisite antique cherry furnishings are throughout the room anchored by a cozy fireplace. The private bathroom has a tub/shower combination and pedestal sink. A home cooked breakfast is included in the price.